The Qualia product line is the result of thousands of hours of research and devlopment by top scientists in complex-system modeling, neurobiology, organic chemistry as well as dozens of MDs and PhDs. A tremendous level of research, talent and rigor went into the development of Qualia Mind and Qualia Focus, and our customers love the results. The Qualia line has 2 different versions available. Read below to see if Mind or Focus is a better fit for you. 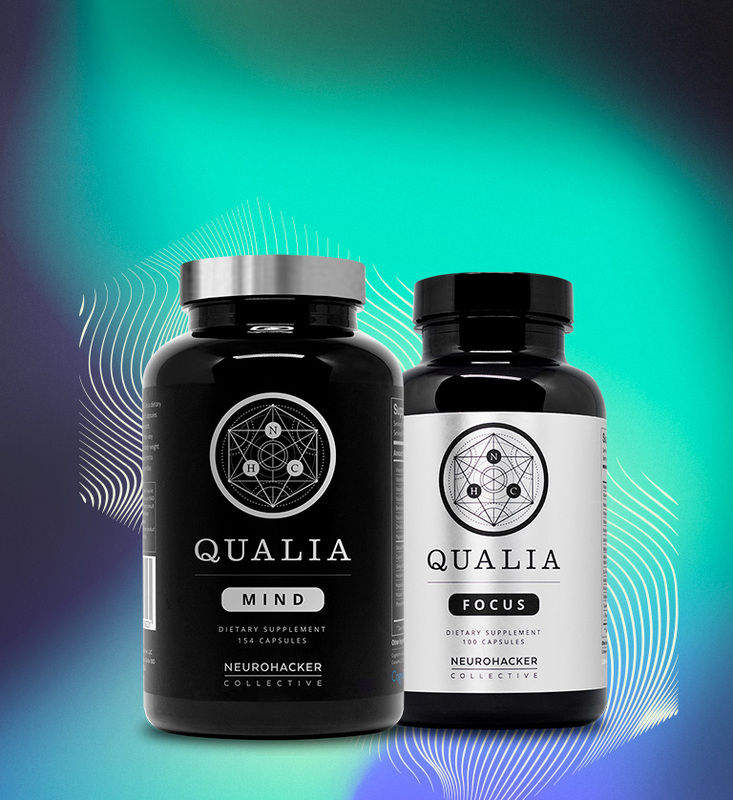 QUALIA FOCUS & QUALIA MIND are premier, research-based nootropics designed to support and maximize brain health. * Determine which product is right for you by viewing the differences below. Qualia Focus is the most comprehensive and effective cognitive enhancement supplement (nootropic) ever formulated for widespread accessibility. With 24 ingredients, each chosen for their own beneficial properties as well as the synergistic properties of how they work in combination, Qualia Focus helps to support healthy brain function across all major neurological systems. Our aim with creating Focus is to support your body’s own ability to up-regulate the production of key neurotransmitters, hormones and other compounds that are critical for optimal brain function. One of the key distinctions you’ll notice between Qualia Mind and Qualia Focus is that Focus was designed to have fewer capsules and be more easily affordable, so the benefits of this product could be accessible to everyone. With increased ingredients, dosages and additional nutrient synergies Qualia Mind provides more robust support for attention, accuracy, and focus in stressful environments and demanding situations. Notably, we added ingredients PQQ, Phosphatidylserine, DHA, and CDP-Choline to the Qualia Mind formulation to support cellular energy production and cell membrane (lipid bilayer) health. These additions support cell fluidity and responsiveness to neurotransmitters, and the formation of synaptic connections between neurons in the nervous system (synaptogenesis) used for memory and learning. These ingredients are especially important for persons wanting to optimize memory and brain health through the aging process. Qualia Mind has CDP-Choline, Sunflower Lecithin (supplying Phosphatidylserine) and an increased dosage of Uridine. These provide extra support for the critical choline pathway involved in memory and attentional focus. So Which should I take? If you can afford it, Qualia Mind is still our premium product. If cost is an issue, Qualia Focus is a powerful product and we're delighted to be able to offer it as an option. 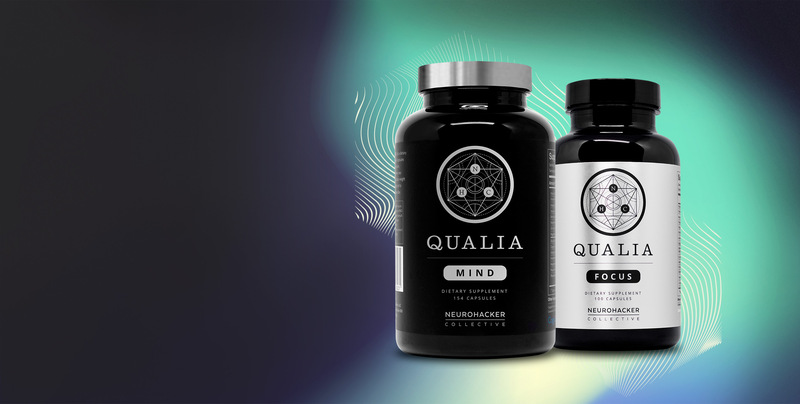 Qualia Mind and Qualia Focus are standalone nootropic stacks and are not designed to be taken together. Feel 100% Satisfied within 100 days or get a 100% refund. There is no hassle. You do not have to return anything to us. If you do not love Qualia for any reason, simply get in touch via phone or email and let us know you’d like a refund. That’s it. 100 Day Money Back Return Policy applies as a full refund within 100 days for all first time purchasers of an initial order of product, or final order of a subscription (limited to 1 unit). It does not apply to an individual's additional product orders placed after an initial order. Limit one (1) guarantee per product/unit, per household. Neurohacker Collective takes a complexity science—the science of complex adaptive systems—approach to formulation. This process results in the creation of supplements that both enhance the brain’s adaptive capacity and upregulate the entire body for optimal well-being. The researched-backed ingredients and dosages we have chosen in our formulas support the complex interactions between neurotransmitter signaling, neural structure and function, and support processes like metabolism, cell energy, and antioxidant defenses. We take great care to use the most potent, high-purity, and bioavailable forms of each ingredient that are gluten-free and non-GMO. Our ingredients are in the most biologically active form for their intended purpose (i.e., methylated, acetylated, phosphorylated, L-form, D-form). The form of the nutrient makes orders of magnitude difference, which is a category we’ll never compromise on, and also is responsible for the difference in cost. "Qualia delivers the most comprehensive supplementation available in any nootropic stack I have seen. It is designed to deliver meaningful improvements to overall cognitive function." "I love Qualia Mind! Unlike many other formulas that use minimal amounts, it has the top nootropics in the amounts shown by research to be most effective. By my patients’ reports and my own experience, Mind helps us to feel more alert, energized, happier and productive when we take our daily dose. Thank you, Neurohacker!" "As a naturopathic doctor, I'm curious about what goes into a product (ingredients, amounts, etc. ), but I'm far more interested in the response it produces when people take it. I joined Neurohacker Collective after Qualia Mind was already on the market and gaining a growing number of converts. My decision was based of how impressed I was with their commitment to complexity science and the strength of their initial nootropic formulas. I haven't been disappointed: Qualia has become the core of my morning dietary supplement routine." "I'm so grateful for Qualia. Your product has helped a ton of my patients. Thank you so much for what you guys are doing." "Qualia is what I call the “mother’s little helper” of the future. Only instead of shutting out your feelings and escaping life – like in the Rolling Stones song, Qualia helps me do more, feel more and live more." We don't want you to guess that it is working, let us prove it to you. 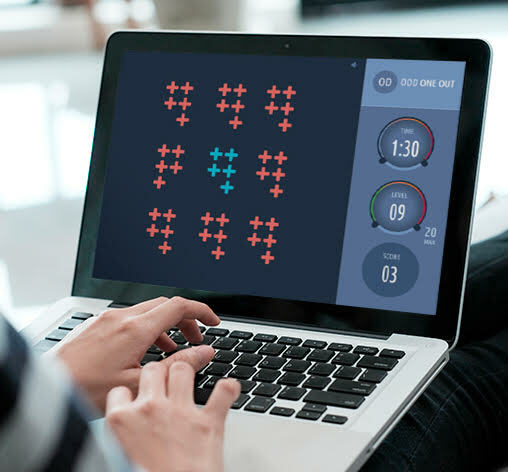 We are working with Cambridge Brain Sciences (the gold standard of cognitive assessments) to offer you a chance to scientifically measure the impact of Qualia. Test your mental performance before using Qualia and then again after only 5 days of use. If you’re like most, the tests will yield clear mental performance benefits. And if not, no worries, try again in another week. And you can always take advantage of the 100% full refund guarantee if you are not seeing the results.